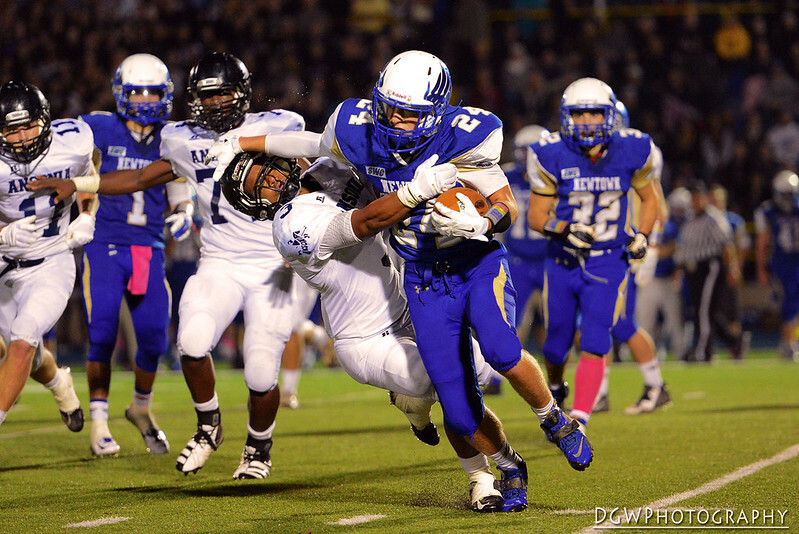 With identical 5-0 records going into Friday night, Newtown High faced Ansonia High in a battle of unbeatens. 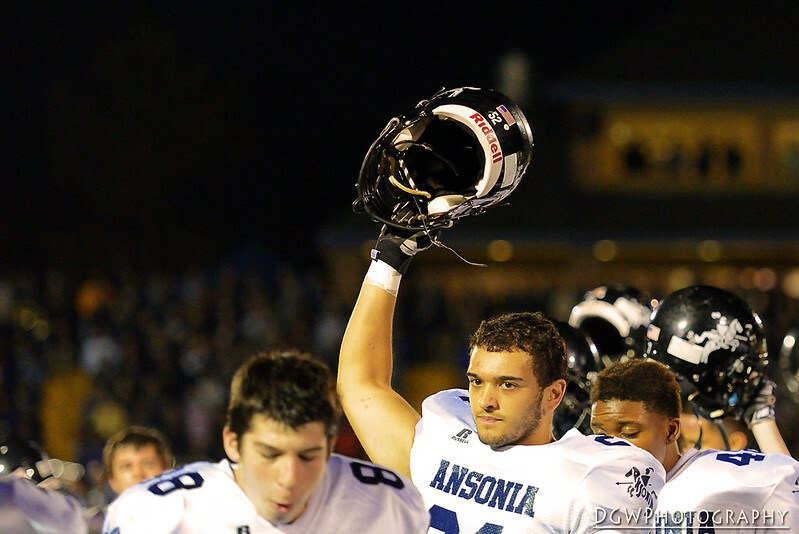 There was even more at stake, as Ansonia was riding a 48-game winning streak into the game, one shy of the state record. 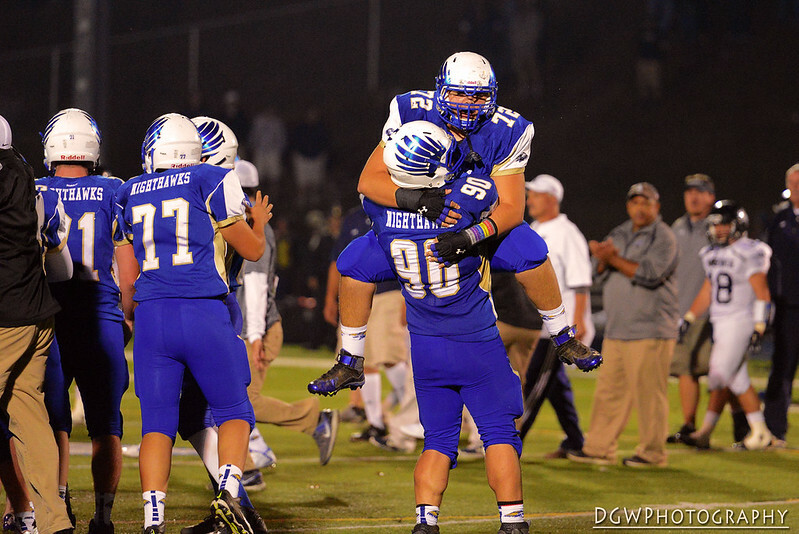 Fifth-ranked Newtown did what so many others before it couldn't do, beating No. 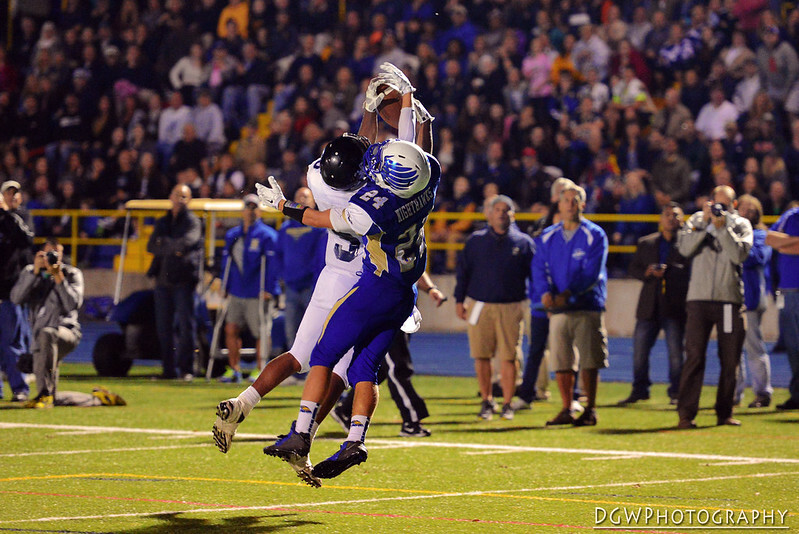 4 Ansonia 14-8 before a crowd of 3,000 at Blue and Gold Stadium. 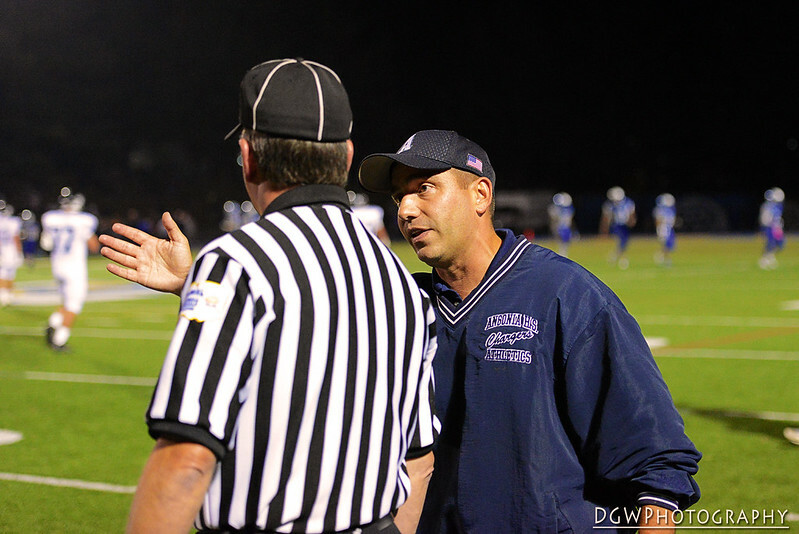 The Chargers, in the process, fell one victory short of tying Cheshire's state record 49-game win streak. 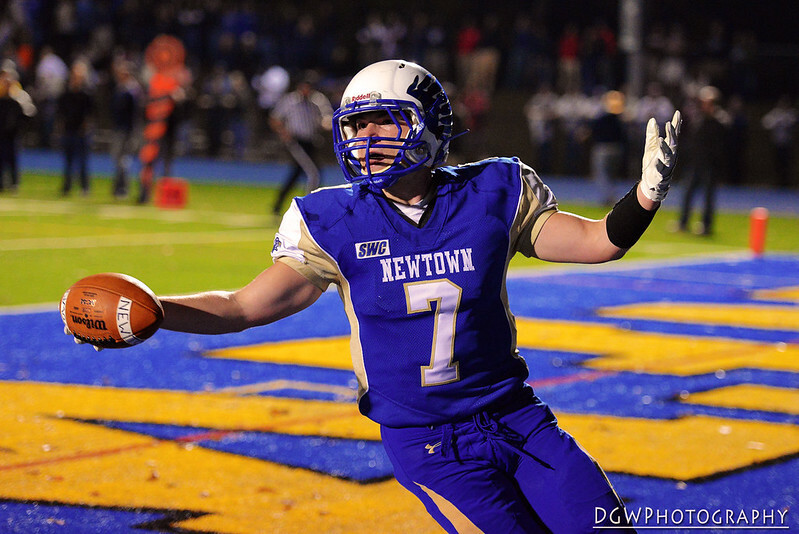 Newtown's Jared Pearson scores in the first quarter to give Newtown a 7-0 lead. 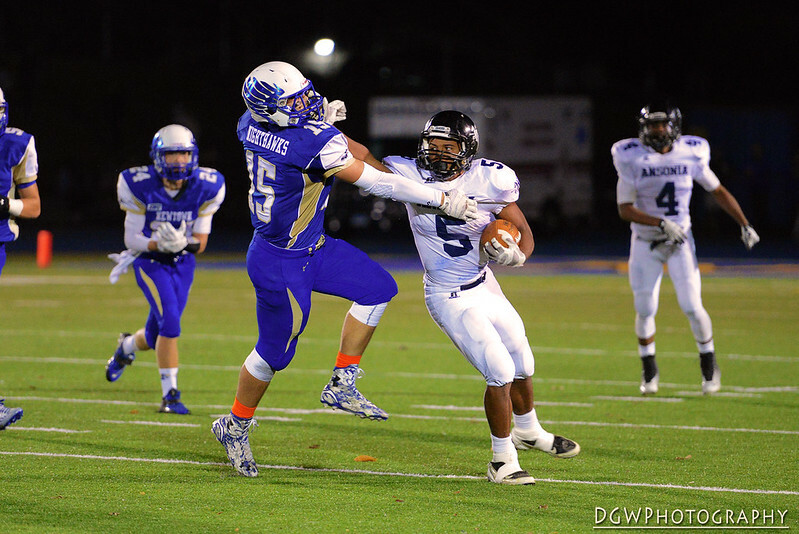 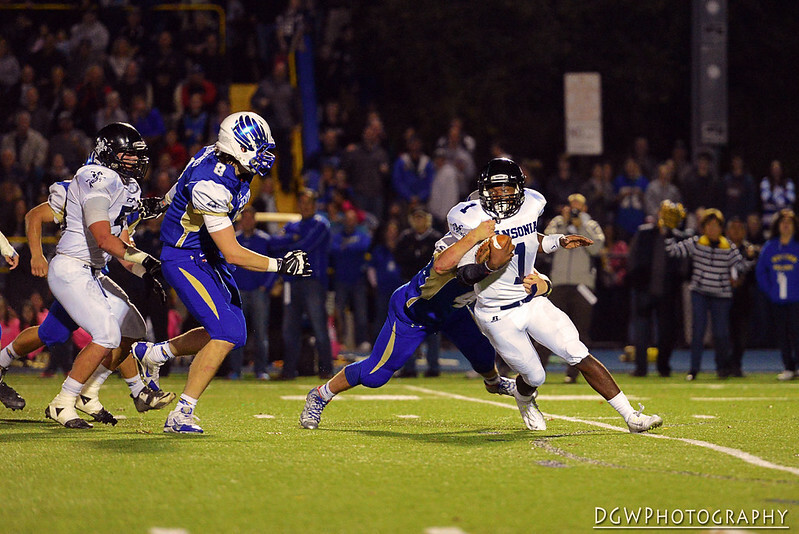 The speed of Newtown's defense shut down Ansonia all night. 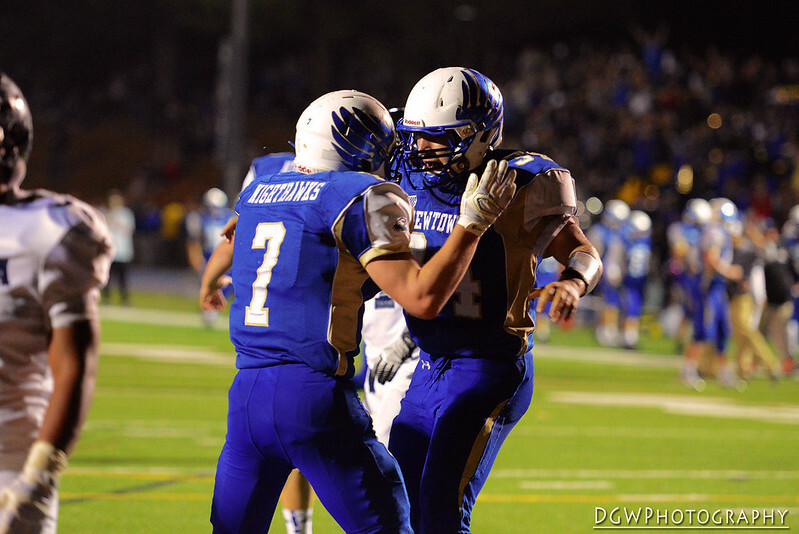 Jared Pearson and Nick rubino celebrate Newtown's second touchdown.